One of my favourite things about summertime is the pleasure of eating plenty of fresh blueberries at breakfast. Well maybe not just at breakfast! When the berries are in season, I enjoy going to the farmer's market to fill up my bags with these sweet and colorful fruits. As they are low in calories and loaded with antioxidants, these powerfruits have everything to be loved. While I like my berries in smoothies, in pies, in shortcakes, in crumbles, my latest trick is to freeze a few and later drop them in a glass of fizzy water to add a light aromatic touch. In my book, summer is all about enjoying small pleasures. And berries are a major one. What are your summer delights? 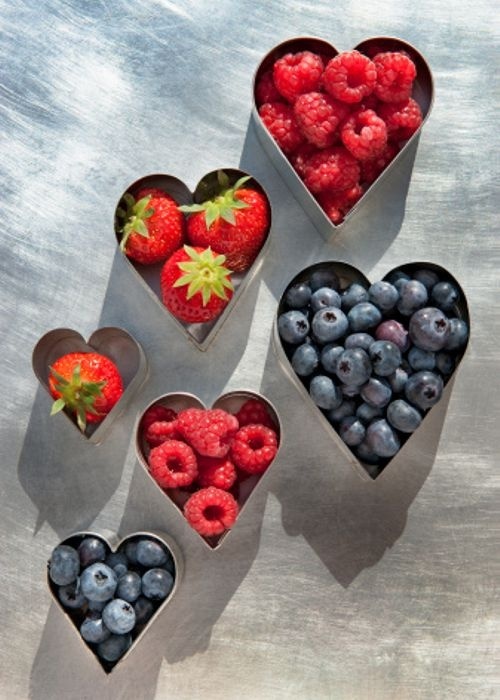 1 comment on "Berry Love"
What a fabulous photo! I love summer berries and it's fun to go strawberry picking at the local farm!